ii. 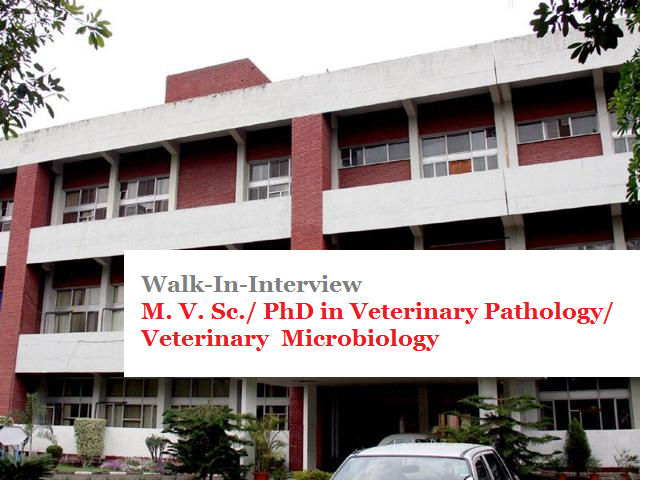 M. V. Sc./ PhD in Veterinary Pathology/ Veterinary Microbiology with at least 65% marks or M. Sc./ PhD (Zoology) with at least 65% marks and NET qualification. iv. Preference will be given to candidates having experience in handling chickens/ laboratory animals, Histopathology, Molecular pathology, Immunohistochemistry and immunological Techniques.